This year's Pet Fest has expanded to be bigger and better than ever before! 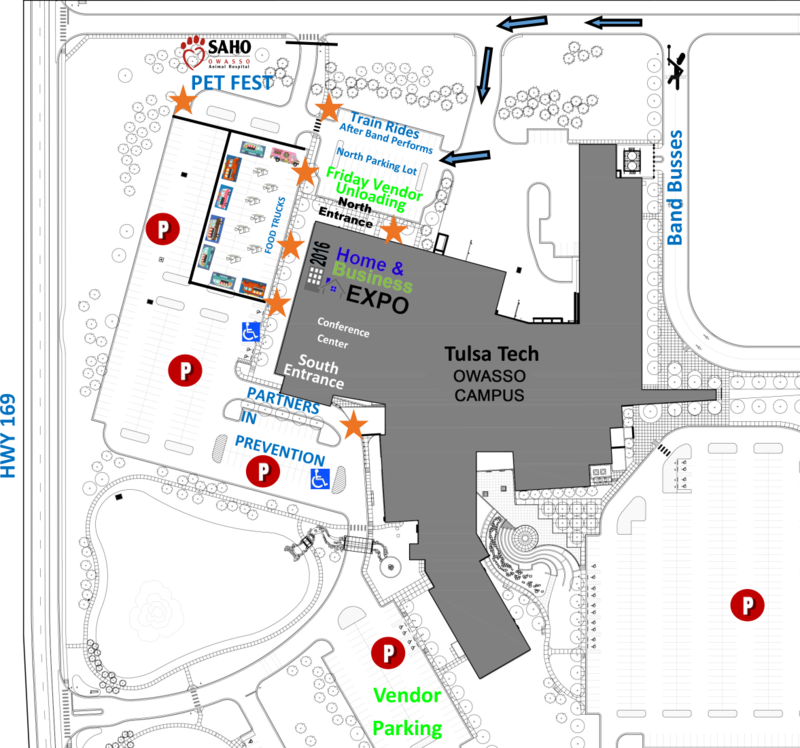 Pet Fest is a part of the Trail Days EXPO being held at the Tulsa Tech Owasso Campus and is sponsored by SAHO Animal Hospital. This year there will be a dunk tank on-site so you can "Dunk the Doctor" for $1/ball. Proceeds benefit SAHO Rescue. SAHO Rescue and other rescue groups will be on-site with plenty of adoptable pets looking for their forever home! Fallen Timbers Farm will be at Pet Fest with miniature pigs, dwarf goats, rabbits, miniature horses, ducks, sheep, ferrets & snakes. Kids will enjoy petting all the animals! Pet Fest will be located at the north end of the west parking lot, just past the Food Truck Frenzy. See Map of EXPO layout below.